Read this article......think about the best practice bit. The I that is needed in team. 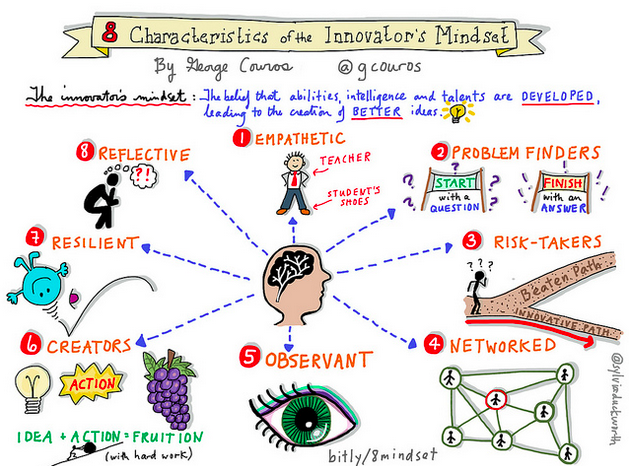 Read this post, it talks about the innovator educator and the characteristics of this. This is essential if this is what we want for our students. Recently I explored the notion of the “Innovator’s Mindset”, and have thought a lot about this idea. As I look to write on the topic of “Leading Innovative Change” within schools, we are looking to develop educators as innovators. To be innovative, you have to look at yourself as an innovator first, and to create schools that embody this mindset as a “culture”, we must develop this in individuals first. Belief that abilities, intelligence, and talents are developed leading to the creation of new and better ideas. Empathetic - To create new and better ways of doing things, we need to first understand who we are creating them for. 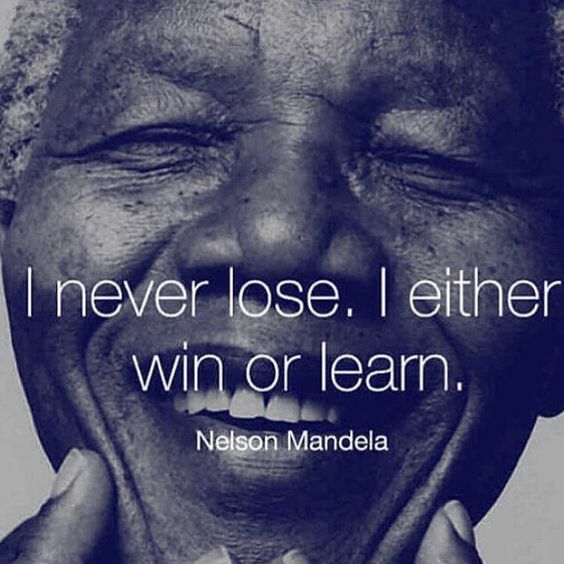 As educators, innovation starts with the question, “what is best for this child.” For us to create something better for our students, we have to understand their experiences and this is why it is imperative that we not only talk about new ways of learning, but immerse ourselves in these opportunities. This way we can understand what works and what does not work from the perspective of a learner, not a teacher. If anything, teachers have to a deep understanding of learning before they can become effective in teaching. We need to put ourselves in our student’s shoes before we can create better opportunities for them in our classrooms. Problem Finders - As Ewan McIntosh talks about, it is important that we teach our kids how to ask good questions instead of simply asking for answers. All innovation starts from a question not an answer. The invention of the home computer started with the focus of, “How do we bring the experience of a powerful computer into the homes of families?” Many capstone projects developed by students in their classrooms start with first finding, and then solving problems both locally and globally. How often do we as educators immerse ourselves in a similar process? If want to be innovative, we need to look at questions first. Risk-Takers – Many would argue that “best-practice” is the enemy of innovation. To be truly innovative, you sometimes have to go off the beaten path. The reality of this is, that for some kids, the “tried-and-true” methods will still work, but others, you will need to try something different. In a time where many kids are totally checking out of school, is “best practice” truly “best”, or just “most well known”? Networked – Steven Johnson has a powerful quote on the importance of networks where he states, “chance favours the connected mind.” Innovation does not happen in isolation, as it is often ideas that are being shared amongst many that lead to new and better ideas being developed. The best educators have always created networks to learn from others and create new and powerful ideas. Now though, many have taken the opportunity to take networks to a whole different level through the use of social media to share and develop new ideas. Isolation is the enemy of innovation. Networks are crucial if we are going to develop the “Innovator’s Mindset”. Observant – A practice normal amongst those that would be considered “innovative” is that they constantly look around their world and create connections. It is normal to have a notebook or use their mobile device to record ideas or thoughts around them and link them to their own ideas. 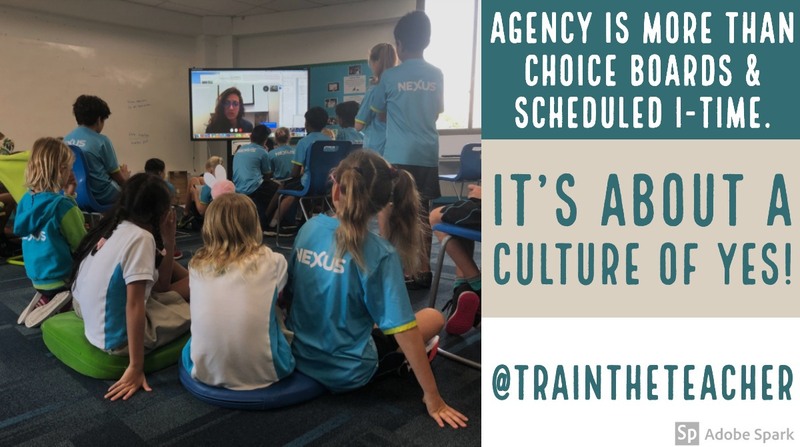 In education, we often look to solutions to come from “education”, but when organizations around the world share their practices and ideas, we have to tap into their diverse expertise and learn from them as well. Wisdom is all around us, we just have to look for it. Creators – So many people have great ideas, yet they never come to fruition. Innovation is a combination of ideas and hard work. Conversation is crucial to the process of innovation, but without action, ideas simply fade away and/or die. What you create with what you have learned is imperative in this process. Resilient – Things do not always work on the first try, so what are the tweaks or revamping that is needed? To simply try something and give up as soon as it fails never leads to innovation only a definitive end. This is something great teachers model daily in their teaching, as they turn good ideas into great ones. Reflective – What worked? What didn’t? What could we do next time? If we started again, what would we do differently? What can we build upon? It is important that in education and innovation, we sit down and reflect on our process. This last point is definitely lacking in many aspects of education as we are always “trying to get through the curriculum”, yet reflection is probably the most important part of education as the connections we make on our own is where deep learning happens. For educators to embody this, it is imperative that leaders create a culture where this types of characteristics are not only accepted, but encouraged. It is also imperative that at both the leadership and whole organization level, these characteristics are embodied. To many, being “innovative” is no more than a buzzword, but if we truly have innovative students, we need to embody the “Innovator’s Mindset” at all levels.